It’s everything shippers need to move at full speed. A growing network of trusted carriers. Upfront, instant quotes. 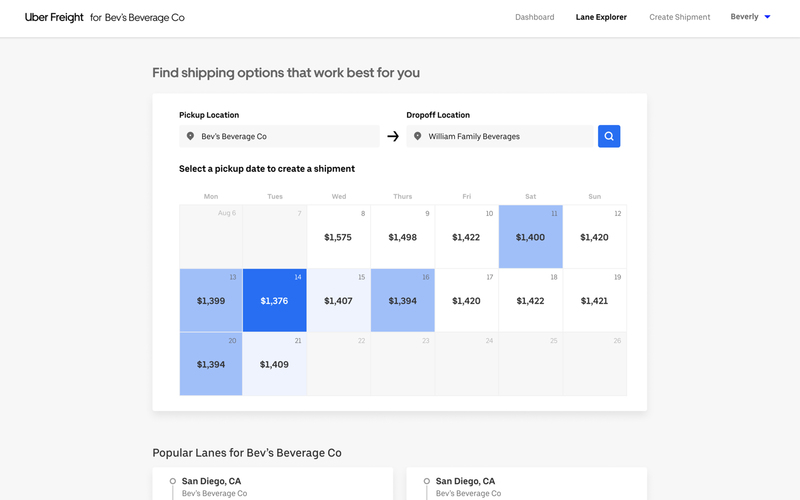 Greater insight into shipments, including available real-time tracking. With Uber Freight, shippers have more power than ever to keep their business rolling. With fewer roadblocks, your business runs faster. Our single platform accelerates getting quotes, tendering and booking loads, tracking shipments and more. Our technology helps to eliminate the time-consuming games of phone tag, email chains and faxing. Carriers on our network are evaluated so that your shipments are always in good hands. See all your shipments — past, present and future — in one place. 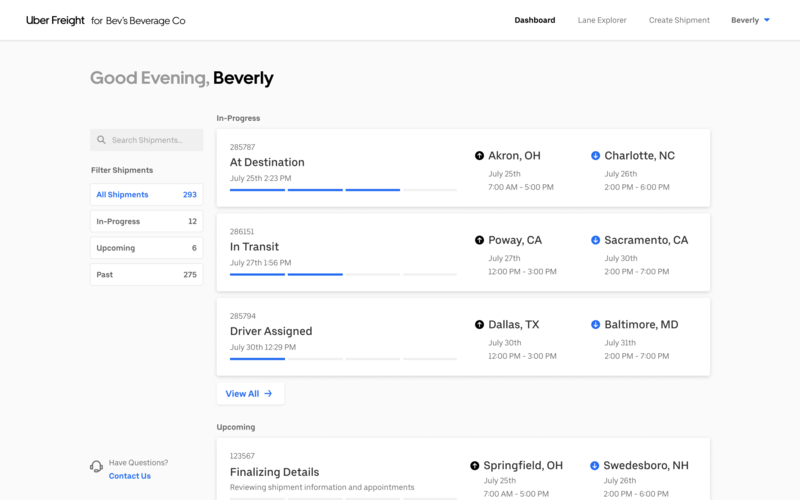 Additionally, you’ll see the real-time status of all your shipments moved within the Uber Freight app. See real-time market-rate on your lanes up to two weeks in advance. 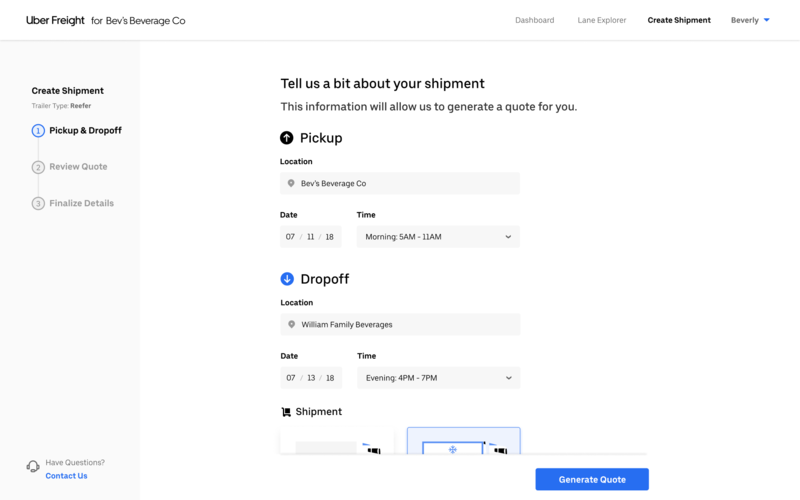 If you find a rate you like, you can lock it in by creating the shipment online. Simply add your pickup and drop off information, plus any shipment notes. If you hit a bump in the road, call or email our team anytime. "Direct Access to Almost Immediate Capacity"
Our single platform gives Land O’Lakes the confidence and ability to move freight efficiently. Sign up for free and start shipping today.